Mr. Ratcliffe is currently the Chairman and CEO of Enzymatics (Boston). Ian is also Chairman and a director of Stemgent-Asterand Inc. (Boston), a life science company focused on the development and sale of novel consumable reagents for use in stem and induced pluripotent (iPS) cell research, and a leading global provider of high quality, well characterized human tissue and human tissue-based research solutions to drug discovery scientists. Prior to this position, he served as President of Upstate, a leading provider of cell signaling research products and services. In this position Mr. Ratcliffe was instrumental in facilitating the acquisition of Upstate by Serologicals, Corp. and was subsequently retained as President of the Upstate division. Ian has a degree in Chemical Engineering from University of Surrey and has an M.B.A. from the Darden Graduate School of Business Administration at the University of Virginia. He is a director of Global Cell Solutions LLC (Charlottesville), a biotech company commercializing proprietary 3D cell culture technology. 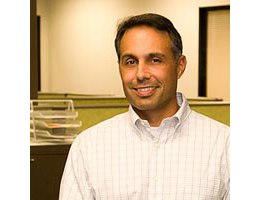 Mike Nolan joined Enzymatics in 2010 after working as a consultant with for the company for several years. Mike came to Enzymatics from Braver, Inc where had been serving as a managing director of the management consulting enterprise since 2004. Mike’s function was to aid clients in increasing market share and net profit improvement. Mike is one of the founders of Nolan Brown Partners, LLC. He has owned and operated his own manufacturing company. He has recently served as the Chief Operating Officer for a publicly traded medical device manufacturer. With manufacturing expertise and the ability to find and develop new markets, Mike has been of great help to a number of clients throughout the northeast in a wide variety of manufacturing and distribution settings. Mike earned his MBA at the University of Kentucky. He holds a BA in Government from Bates College and served as a regular army airborne infantry officer in Vietnam. Stephen Picone Co-founded Enzymatics in 2006 and serves as the company’s Chief Strategy Officer, leading Corporate Development and coordinating internal and external strategic initiatives. 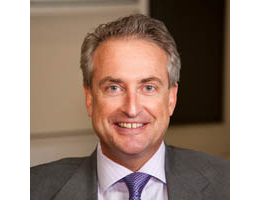 From 2006 to 2012 Stephen served as Chief Executive Officer. He developed Enzymatics’ proprietary purification technology and is named as an inventor on several patents and applications. Prior to Enzymatics, Stephen served as a product manager for New England BioLabs where his efforts were focused on chromatography process development, manufacturing and quality control of a variety of DNA modifying enzymes. Stephen graduated from the University of Vermont with a B.S. in Microbiology and Molecular Genetics and received his Master’s in Business Administration from Suffolk University. Christopher Benoit co-founded Enzymatics in 2006 and serves as the company’s Chief Commercial Officer. Chris was responsible for creating and implementing the company’s business systems, including the development and certification of Enzymatics’ ISO 13485:2003 Quality Management System. 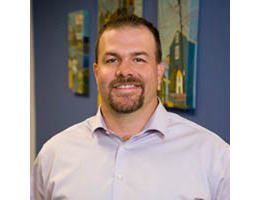 As an active member of the community, Chris serves as a Biotechnology Advisor to Endicott College, and supports local economic development through several Enzymatics’ funded initiatives. 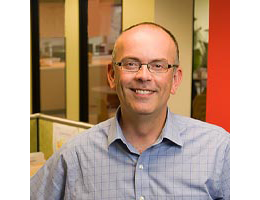 Prior to co-founding Enzymatics, Chris served from 1995-2006 as the product manager for DNA polymerases at New England BioLabs. A life-long resident of the North Shore of Massachusetts, Chris holds a BS in Biochemistry from the University of Massachusetts at Amherst, competed for five years as an elite level road cyclist (Category 1/UCI Elite), and is a year-round bicycle commuter. 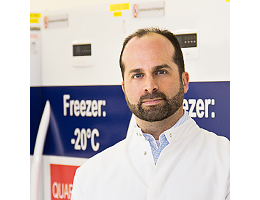 Dr. Myers is a biochemist with a wealth of experience in genomics and product development. He received his PhD in Molecular Pharmacology from Stanford University School of Medicine in 2005 where he developed and commercialized an RNA interference (RNAi) technology with Ambion, Invitrogen, and Roche. This innovative RNAi technology named In Vitro Dicing was widely used, especially in high-throughput and high-content loss-of-function screening studies, because it was the least expensive, most efficient, and most effective gene silencing method available. Dr. Myers received funding from the American Cancer Society and Canary Foundation to complete three years of post-doctoral training at Stanford University in the Department of Biochemistry. During his post-doctoral fellowship he developed novel microarray-based methods and software to investigate genome-wide regulation of post-transcriptional gene expression. 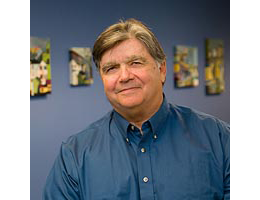 Shortly after the semiconductor sequencing company Ion Torrent was formed Dr. Myers joined and worked with the team to develop the novel sequencing chemistry and system. Subsequently he led a cross-functional product development team dedicated to collaborations with thought-leading customers to further develop the Ion Torrent technology and sequencing applications. In 2013 Dr. Myers co-founded ArcherDx Inc. with Dr. A. John Iafrate and Dr. Long P. Le to develop NGS-based assays for clinical oncology. Later in 2013 he joined Enzymatics as Chief Scientific Officer through the acquisition of ArcherDx by Enzymatics Inc.
Patrick J. Finn joined Enzymatics in 2012. 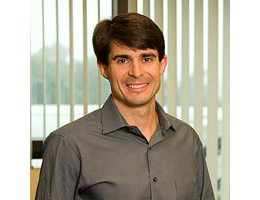 Prior to joining Enzymatics, Paddy served as Director of Business Development for the Life Sciences Group at Agilent Technologies and as Director of Product Development within Beckman Coulter’s Molecular Diagnostics business unit, developing novel products in the fields of nucleic acid extraction and sample preparation. Over 10 years, he held positions with Invitrogen and multiple positions in research and product development with GE Healthcare/Amersham International, where focused on DNA sequencing and amplification technologies. Additionally, Paddy served on Enzymatics’ Scientific Advisory Board from 2007 to 2010. Paddy holds a B.Sc. (Hons.) in Chemistry from Heriot-Watt University, UK and a Ph.D. in Nucleic Acid Chemistry from Southampton University, UK, where he studied under the guidance of Professor Tom Brown. Jack joined Enzymatics in 2011 and is responsible for all of the accounting, finance and treasury functions of the Company. Prior to joining Enzymatics, he served in senior financial roles at several early stage venture-backed companies. Most recently Jack served as Senior Director of Finance at Akorri Networks, a venture capital-backed storage virtualization management software company. While at Akorri Jack played a critical role in raising more than $58 million of equity financing and structuring business development arrangements prior to Akorri’s acquisition by NetApp in May 2011. Previously, he was Director of Finance of Pirus Networks where he served in the same capacity raising more than $69 million of equity and debt financing. Jack was instrumental in facilitating the acquisition of Pirus by Sun Microsystems in November of 2002 and stayed on to serve as Controller for Sun’s Mid-range Storage Division until 2007. Jack acquired a strong finance and accounting background in the Boston office of Arthur Andersen LLP as an experienced audit manager in the Life Sciences and High Technology practice. He is a Certified Public Accountant (inactive) and holds a Bachelors of Science degree in Business Administration from Merrimack College in North Andover, Massachusetts. Jason Tsolas joined Enzymatics in 2012. He has direct responsibility for managing all operations in the Enzymatics’ Supply Chain Solutions business unit. Jason’s expertise is in process development, team alignment, strategy execution, and change management. Prior to joining Enzymatics, Jason served a variety of critical management and operational roles at Beckman Coulter Genomics over a 10 year period focused on driving efficiency during the growth of contract sequencing projects. 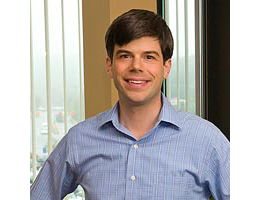 In addition to Beckman Coulter Genomics, Jason has acquired a strong background in life sciences holding key roles in several companies including Monsanto, Genome Therapeutics and Danaher all focused on driving innovation in research through DNA sequencing and other novel applications. Jason holds a B.A. degree in Biology from Clark University and earned his MBA from the McCallum Graduate School of Business at Bentley University.